This Blog documents a long, and sometimes very precarious, search for inner peace. Like most undertakings it started out as a journey to some far off destination; but as time passed that innocently imagined destination became less and less certain and finally irrelevant as I came to realise that there is no journey and no destination. The illusive ‘IT’ (peace, happiness, fulfillment, dare I say it self realisation) is here Now where it has always been; its beauty hidden under the turbulence of the every day, moment to moment, drama of our busy lives. Right here, right now! In October of 1970 I started a search for meaning in earnest. The Why of that undertaking remains something of a mystery even now, forty three years on. I was 21 and inspired by a set of coincidences that I made mean many things, I started to meditate. Back then it was TM, (Transcendental Meditation). This single understated, apparently insignificant, undertaking, realised in the back of a barber’s shop in Watford, was to shape and utterly transform my entire life. I had no conception of where that single undertaking would lead me and still wonder at the miraculous twists and turns. The moral of that tale? Do something different. Be bold. Be courageous. Rise to meet opportunities. 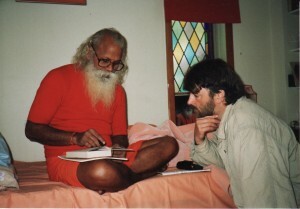 I started out knowing less than nothing about Yoga and Mysticism and on a path littered with misdirection. I have moved on and I can now say, with some confidence, that if you are seeking an answer to this riddle, LIFE, be absolutely certain that beyond this everyday mundane reality there is a mystical depth that can only be experienced and that will not be silenced by assertions that we are simply only genes or merely matter. Looking inwards reveals a cosmic tale that is profoundly beautiful, (if at first extremely confusing) and when we combine science with mysticism the mix produces a fresh take on Reality that overturns the narrow day to day view that we are encouraged to accept as normality. Forty two years of exploring ideas in a quest for understanding has inevitably produced an experiential view of life that challenges some of our deepest assumptions about what or who we are. Like all profound ideas its realisation by the majority would set all to rights but that is a distant possibility and extremely unlikely. The game will not play out that way but we can make a difference in our short life span and nudge destiny ever so slighly towards fulfilment. We, each single one of us as conduits for intelligence, are the future – a future that will be carved out not by what we invent but by how we think . If we want to comprehend a model of Reality that truly represents the whole of what is Existence then we have to broaden our perspective to encompass all of human experience, not just those aspects that fit the accepted narrow model out of which most of us live, and certainly not one as coldly reasonable as Atheism. Without wishing to claim any unique authority this is Spiritual Science; gifted to me by my teacher without whom I could write none of this. What exactly Spiritual Science is will become apparent in the reading of the pieces in this Blog. Essentially it deals with the Laws that govern fields beyond the reach of material science and how we might define and access them. Here you will find inspiring quotes, insights and stories; some personal and some hand-me-down, that I have been gifted on my journey, expressed in 21st Century contemporary language and concepts. I hope this contributes positively to the debate and inspires you, the reader, to embrace the sacred beyond the material. And for those of you trapped in the madness that is intellectual suffering, I hope this brings you some peace and reconciliation and not just a little inspiration. 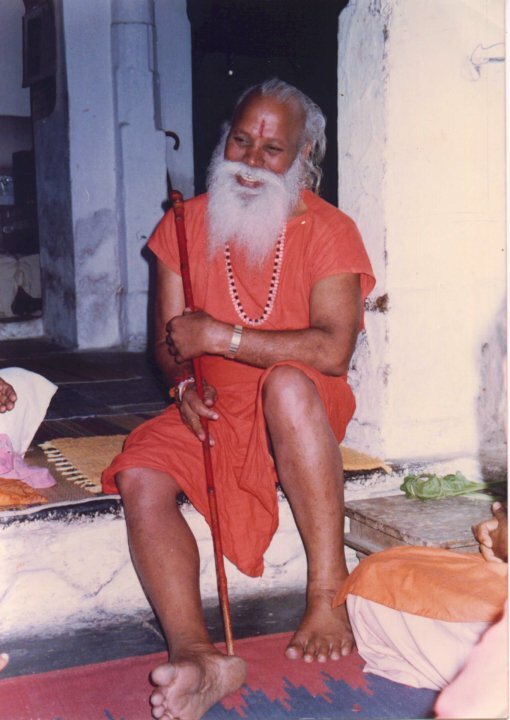 For twenty three years I was taught by a brilliant Seer named Brahmarishi Vishvatma Bawra without whose knowledge I would have remained lost in a desperately bleak wilderness. He died on February 8th 2002 and I miss him and the challenges he cast at me hugely. He was one of life’s rare and beautiful souls. I want to tell him that it worked. He is alive in this material. How I remember him. Open hearted, generous and overwhelmingly kind and wise. HH Brahmarishi Vishvatma Bawra teaching me the Samkhya Karika. I was talking with Carolyn Taylor (Savita) and we both wondered where you were and what you were doing, so I set out on a quest to find you. As it happens, it didn’t take long. Would love to make contact – do please send me an email. Robert. I can’t believe its you. God Bless you Didi Ji. I am not quite sure how you found it but nice that you did. Now I will share it all.